I decided to make this blanket as a gift to my nana. She likes dull, muted colours and it just so happened that I had a few balls of this left. I had previously made her a striped blanket so, for some variety, thought she might like the 12 point ripple. Also I was on a bender of making these! They’re super easy and work up FAST! I try to make a different look I stuck with one colour for the majority of the star, and did two rows of each of the highlight colours to act as the border. It looked better than I expected! 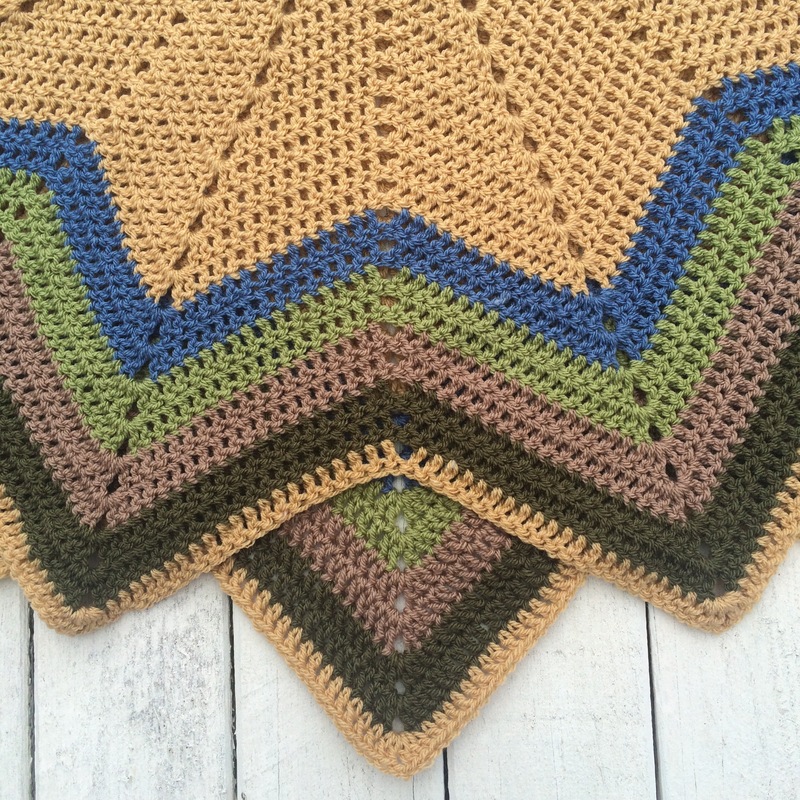 The yarn used is my favourite Stylecraft Special DK with the predominate colour being Carmel. This would be a good project to use your scraps on too! I’m yet to give this to my nana, but I’m sure she will like it.